Natural Ear Mite Treatments for Dogs – What Can You Do if Your Dog Has Ear Mites? I recently had a question from a fellow dog owner asking if there is a natural or home remedy that they could try on their dog to get rid of ear mites. I’d never thought of it actually, since our four canines haven’t had any issues with ear mites for a very long time. In the past, we have used the usual ear cleaner stuff that supposedly cleans ears and removes ear mites , I can’t really remember what it was called…but, anyways, the vet recommended it for our dog and cat too. We had no idea why our dog was itching and scratching at its ear, nor why it had this horrible smell along with the dark brown/black gooey, coffee-ground-like gunk coming from its ears. And, so did the cat we had at that time…nope, it had no idea why either! Just kidding…of course, the cat couldn’t talk to tell us why…what I meant to say is the cat had ear mites too. And, more than likely passed it along to the dog…according to the video from a former veterinarian I’ve included at the bottom of this post, more cats are found to have ear mites than dogs. Anyways, throughout the years we’ve learned to recognize the symptoms of ear mites, which you’ll want to do too before treating your dog for something it doesn’t have. Of course, it depends on how bad your dog is infested with these nasty pests on whether or not it has some of these symptoms. If it’s showing signs of lethargy, loss of balance, or fever I’d be taking it to the vet ASAP since those could be caused by a totally different problem. However, if you’ve noticed your dog scratching its ears, shaking its head quite often, bad smelling ears, or the tell tale gunk in its ears it might be possible to try a few things before rushing to the vet. I know, it gets expensive after awhile. So, if you find that everything is pointing to the tiny, but terrible ear mite, you may find one of these treatments that you can do at home helpful. Mineral Oil -This treatment needs to be done for ONE MONTH – 2 times per week. 1). Fill an eye dropper 1/2 full of mineral oil and apply into dog’s ear. 2). Massage gently into ear taking care not to go too far into ear canal with your thumb or fingers…you don’t want to damage the ear canal! 3). Take a cotton ball, soak it in mineral oil and use it to clean the inside of your dog’s ear flaps using an upward motion to avoid shoving any wax or debris further into ear. Using mineral oil will smother the live ear mites and help soothe the irritation and itchiness caused by them, but if you do not do it long enough the eggs that these living ones have more than likely been laying in your dog’s ear will hatch. Once they hatch, it’ll be the same situation starting up again…so, if you try this one, please make sure you do it for a whole month just to be sure these pests are completely gone. Coconut Oil – Using coconut oil is another one I believe would not only help get rid of the ear mites, but help your dog’s skin heal too. This treatment is recommended to do for a total of 21 days: First week: Apply 5 drops for 7 days – 2 times a day. Second week: After the first 7 days, STOP for 7 days…no treatment. Third week: After the 7 days of no treatment, you start again. So, it’s back to applying 5 drops of the coconut oil for 7 days, twice a day. 1). Warm up coconut oil til it’s in liquid form – placing it in a small glass jar and running it under hot water works wonderfully to warm this up. 2). Apply 5 drops into ear or each ear if both are affected. 4). Use a cotton ball or swab (I’d recommend the cotton ball to be the safer option) in an upward motion to clean out any gunk from ear. Again, make sure you do this long enough to actually get rid of the ear mites. It should take 21 days to be all done. Keep doing this coconut oil treatment even if it does look better after that first week…remember the eggs hatch! Diatomaceous earth – (food grade) or DE. Same as with the coconut oil…21 days total. First week: Apply a small amount to ears 2 times a day for 7 days. Second week: After the first 7 days, STOP for 7 days…no treatment. Third week: After the 7 days of no treatment, start again and apply 2 times/day for 7 days. *Warning– Make sure it is NOT the kind for pool filtration! 1). Apply a small amount into the affected ear one time a day. 2). Massage the base of the ear to allow the diatomaceous earth to move further down into the ear. I haven’t tried this one yet, but I believe diatomaceous earth is more like a powdery substance, at least from what I’ve seen from others using it. 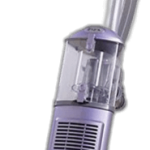 This is used for a wide variety of ridding various bugs from all kinds of things such as plants, homes, gardens, etc. so be careful on what kind you use as there are different products made specifically for certain uses such as pool filtration (again, don’t use that one on your dog!). Make sure it is specified as food grade or labeled as safe to use on dogs and other pets. DE is a natural substance, but you still need to read the directions! I’d recommend reading the label before use and following any precautions it lists. You may want to check out more about the proper uses of DE on this post by Pest Strategies, Diatomaceous Earth (Benefits, Uses, and Safety Precautions) as DE can have some serious health risks if not used properly. Olive Oil + Calendula tincture – 21 days total for the treatment to be complete. Same routine as the coconut oil and diatomaceous earth treatments listed above. First week: Apply a small amount to ears 2 times a day for 7 days. Second week: After the first 7 days, STOP for 7 days…no treatment. Third week: After the 7 days of no treatment, start again and apply 2 times/day for 7 days. 1). Add 8 Tablespoons of Olive oil to 2-dropperfuls (about 2ml total) of Calendula tincture in a *small dispensing bottle. (*you should be able to find these in your local pharmacy). 2). Apply 5 drops of this mixture into ear. 3). Massage base of ear gently to work it down into the ear. 4). Wipe out the excess with a cotton ball or swab in an upward motion to clean out any gunk and debris you see. Store the olive oil mixture out of direct sunlight as the Calendula tincture is affected by sunlight. This treatment is one of the home remedies mentioned in the video below along with coconut oil and diatomaceous earth from Dr. Jones, a former veterinarian. Watch the video below for helpful advice on applying these treatments from Dr. Jones’ Veterinary Secrets! 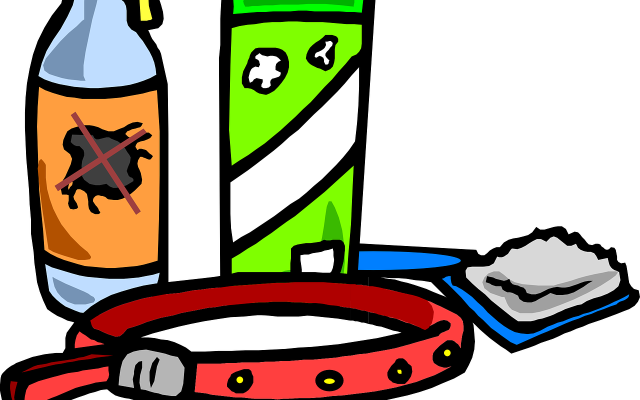 They feed off of the natural wax and oils found in dogs, cats, and many other animal’s ears….blech! Disgusting critters aren’t they? Ear mites are considered to be very contagious between animals, especially cats for some reason. However, it isn’t common for them to be found in the human ear. So, don’t worry too much about them going in your ears…but, I’d still wash my hands after having any contact with the dog or cat in question. At least til there aren’t any more signs of ear mites. **Disclaimer: I am NOT a veterinarian myself, only a fellow dog owner that happens to love dogs and all animals. 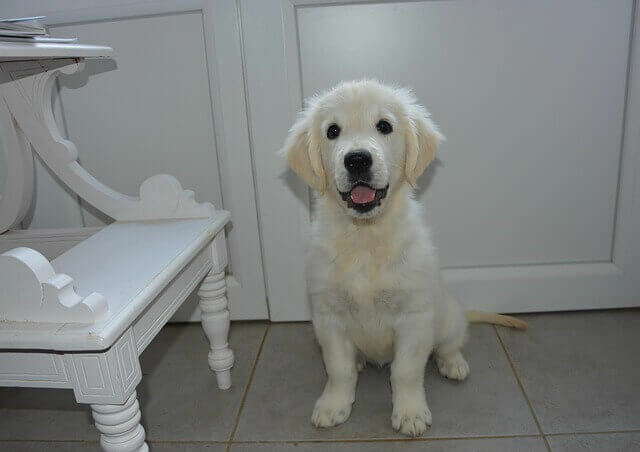 I started this site only to give advice from my experiences to help other dog owners who may not have had too much experience yet, but all dogs are different. Some may have allergic reactions to certain products, natural or not. Some advice may work for some dogs, while on others it does not. It depends on your dog, its surroundings, and its overall health. These can all be a factor. 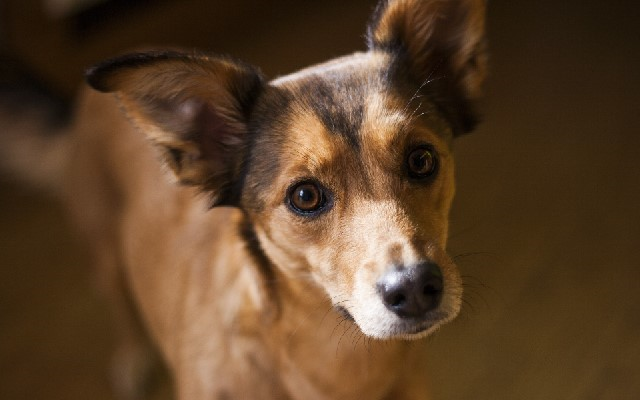 I hope this has helped you find a natural solution for getting rid of your dog’s ear mites. Again, if your dog has more extreme symptoms such as losing its balance, falling down, walking in circles, lethargy, or even a loss of appetite I’d recommend a trip to the veterinarian first and foremost. 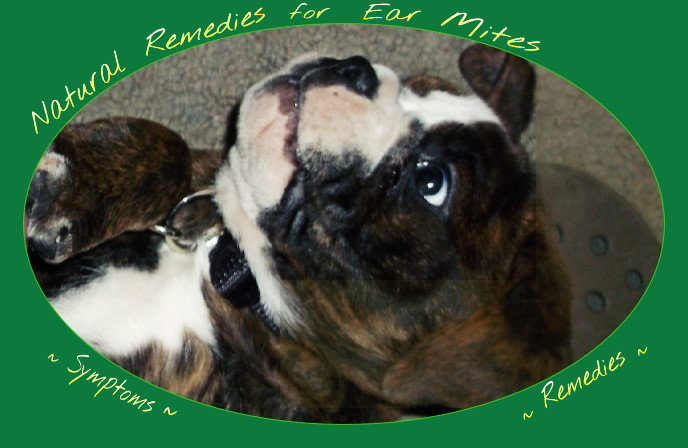 Have you tried any of these Natural Remedies for Ear Mites on your dog? I’d love to know how it worked for you, or if you have other suggestions to try please do feel free to add them in the comments below! 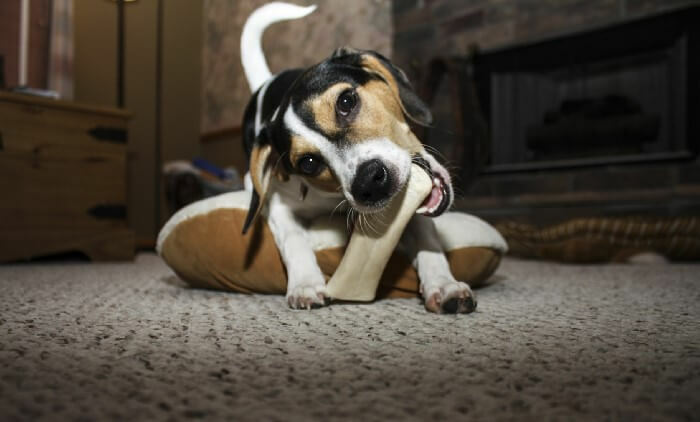 ← Can Dogs Eat Human Food? this is a wonderful advice..i really appreciate it Sherry. Glad you found it helpful! Thank you for sharing your thoughts, I appreciate it! The presence of thymol in the thyme can be one of the best home remedies for ear mites in cats. Thanks for stopping by and commenting! I haven’t really heard of thymol before and it’s use as a remedy for ear mites in cats. I wonder how well it works on treating ear mites in dogs? Often the same remedies work well for both dogs and cats, at least to my knowledge. So, this is definitely another possibility to look into more. Thank you for sharing! Garlic is a well known, natural antibiotic. Garlic oil keeps the ears clean, treats fluid in inner ears, swelling, inflammation, and destroys ear mites. The primary antibiotic compound in garlic that works amazingly in treating an ear-mite infestation is a sulfuric compound called allicin. I’ve heard garlic can work many wonders for so many things when it comes to health for us humans. I haven’t yet tried using garlic oil to clean ears or to get rid of ear mites in my dogs, but it definitely could be something to look into as it could obviously be an option to an all-natural way to destroy ear mites, clean their ears, and treat fluid in the ears all in one go. I’m glad you mentioned garlic oil as an ear mite treatment option, as I haven’t really heard of it too much for using it in the dog’s ears. This is something I’ll definitely take a look at though…I’d much rather use something natural for anything related to health whether it be my own health or my dogs. Thank you so much for the info and I hope you stop by again sometime! Do you know if these treatments can be used on cats as well? You’re very welcome! Thank you for reading and asking whether these can be used on cats or not. All of the remedies I mentioned here can be used on cats too…mineral oil, coconut oil, olive oil + Calendula oil mixture, and the diatomaceous earth as well. I know mineral oil wasn’t mentioned in the video here, but to my knowledge people have also used it for their cat’s ears as well. Of course, I’m not a veterinarian, so you may want to ask your vet first. If you do try any of these make sure to continue the treatment for as long as each one states. Otherwise, they may come back again if there were any eggs left behind. I’m hoping this helps answer your question, Susan. Is there a specific one you have questions about? If so, I’d be happy to look into it more for you…even if it is for cats… 🙂 I like them too! Just let me know here in a reply or fill out the contact form, whichever you prefer.